One of my favorite events of the year, CHITAG (Chicago Toy and Game Expo) has come and gone again. It was fun while it lasted, and I already can't wait until next year. In selecting what to feature in this post, I am trying to focus on the stuff that seemed innovative and wonderful. If possible, I also like to focus on smaller game and toy companies and local people if I can. Not that I don't love me some big games too, but it's the little guys that make this super interesting. Many of them are risking their IRA's and their kids college accounts on a game or toy that wouldn't get out of their head, and they had to follow it through. 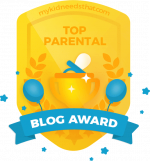 My leading question to them is often, "So, what made you decide that you had $15,000 you didn't need?" Here's a few of the vendors/toys/games that I found most interesting this time around. 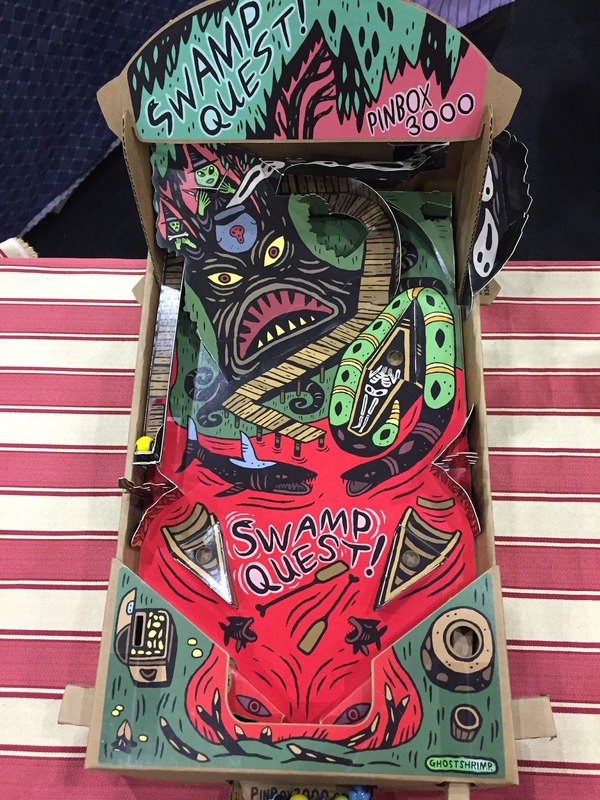 I think one of my favorite booths/new products of the year was PINBOX 3000's cardboard pinball machines. They've combined cardboard techology with the maker movement to make cardboard pinball machine kits that you can make on your own and then modify. 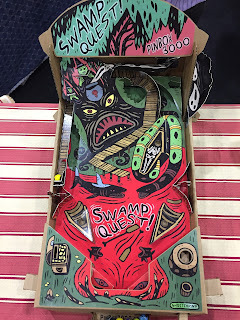 They have three or four readymade pinball kits (along with art, such as SwampQuest featured) But you can also build your own, swap it out, decorate it yourself. What I loved about it is how it is low-tech STEM. 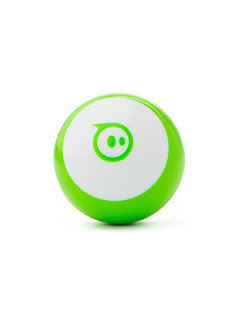 Here's an easy way for kids to learn about engineering and technology and solving problems without turning on a computer. 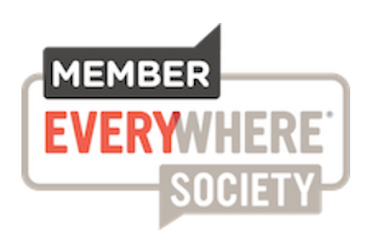 They've also got an online community to help share solutions and problems. Players write a 2-minute interpretation of what this could mean and the questioner decides who is the winner. Then that person gets to throw the charms and ask their question. I'm not 100% sure I'd want to play this game with any but my closest friends (and maybe not even them) but I think it's fascinating how they've turned a spiritual and religious practice into a thoughtful game with actual meaning for your life. This is a clever add-on game to any other game. It's a way to up the stakes for a game, or decide what happens to the Loser of a bet. 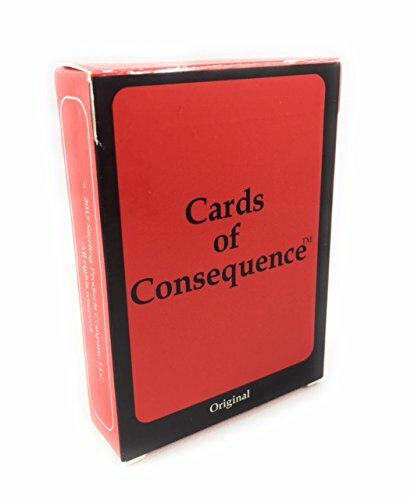 The Loser has to draw a card of consequence, and do whatever the card says they have to. They are not all bad, but they are all family friendly (unless you are playing with the adult deck, which could have some romantic consequences. ) They do have a number of expansion decks. You can also play the game on its own. Here's a video I took of one of the competitors 1 minute performance, posted from my Instagram account. Please note this is NOT speeded up. This guy is just moving that fast! The last few years I've been attending, I've watched Ben of Ben's Bubble Shows entertain the crowds. He's an Evanston based artist, and he's great at showing off bubbles and doing the tricks. He's not selling anything other than his show, and it's really really good. Each year as part of ChiTAG, young inventors come and display their games or toys. The stakes are high, including over $10,000 in scholarship prizes and potential monetization of the game. 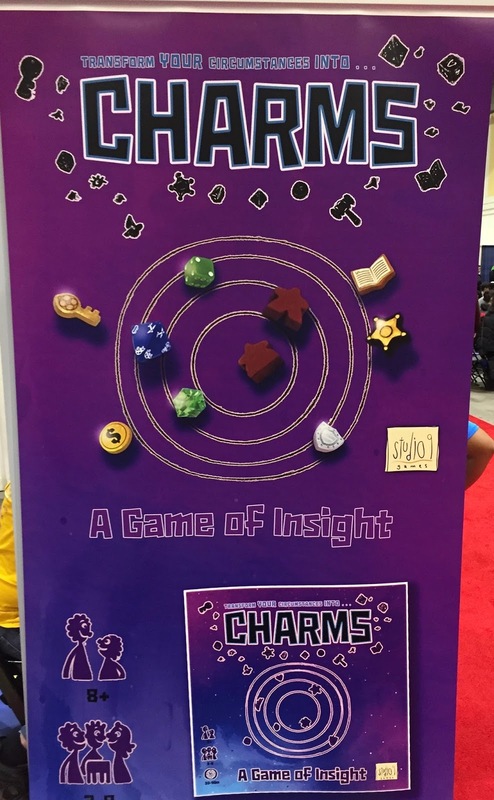 Last year's winners have a contract and were at the show this year selling their game! I love meeting those inventors, not necessarily because the games are so great, but because of the great verve and inventiveness that these young game entrepreneurs show. It's invigorating! The game is played like this: Players draw 10 random number tiles from a bag. They could be repeated numbers. Each player has a couple of each operand tiles: +, -, x, ÷ and some parentheses. The teacher pulls another number tile and says go. The players have to create an equation that creates the teachers number tile using their random numbers and their operands. Player who wins gets new number tiles and a point. First person to win five rounds wins. You can't buy this game yet, but I hope someday you will! 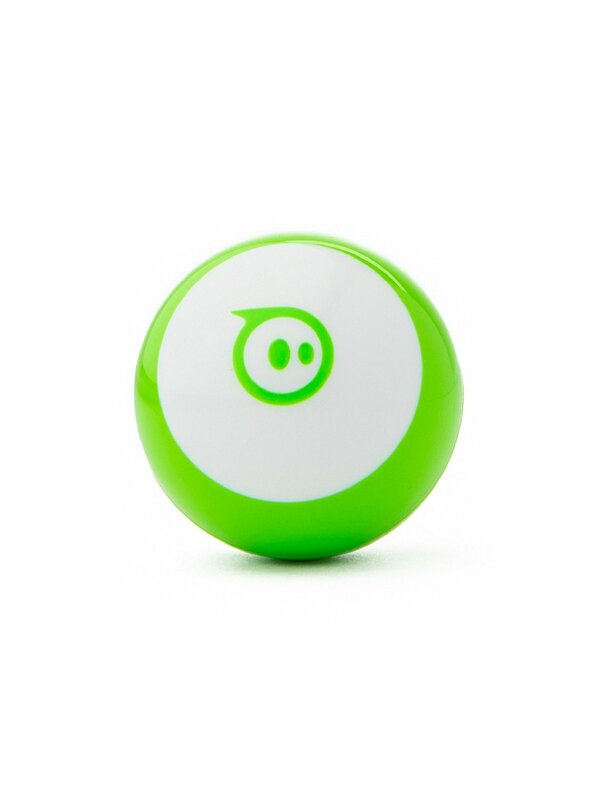 Here's an interview I did with the young inventor. 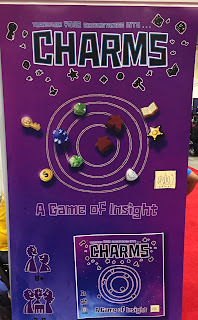 There was a lot more that I really loved at the show, including a few more kids I interviewed about their games, and a lot of fun games, but I might save those for a different post.